Did you know that each and every diamond set in a Rolex watch has been done so by the watchmaker's own jewelers who have selected each rock for its clarity. Rolex's in house team of jewelers and gemologists select, purchase, test, arrange and then set each diamond in each Rolex model. 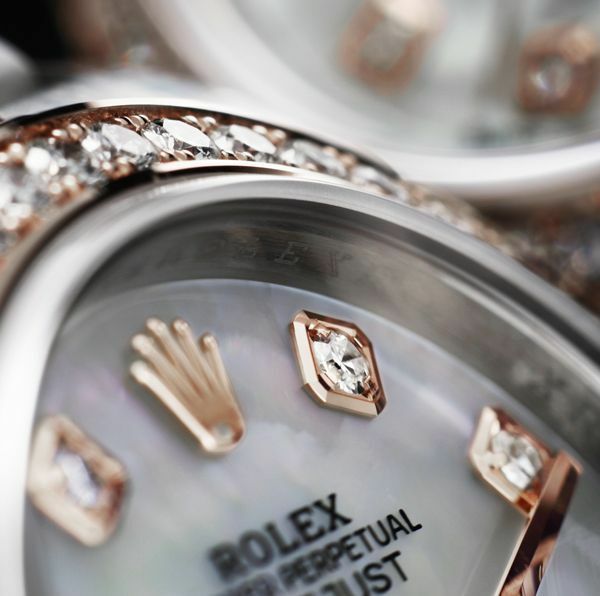 Every single rock used in a Rolex has been hand-cut. No wonder it takes approximately a whole year to make one Rolex timepiece. The first diamond bezels were made in white gold, paired with a yellow gold case. The 1804 model from the 1800 series is the only model in this prestigious series to have the diamond bezel installed at the Rolex factory - making it the most covered piece from the 1800 series. 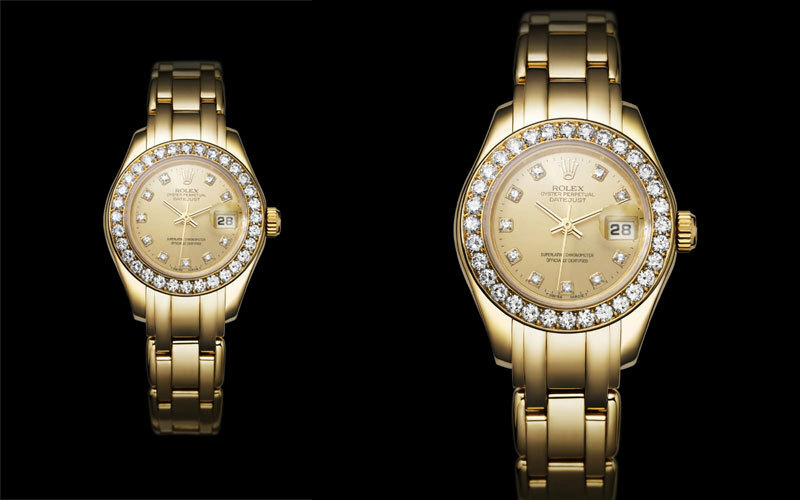 Each Rolex watch that features diamonds will usually have between 44 to 50 stones set in it. 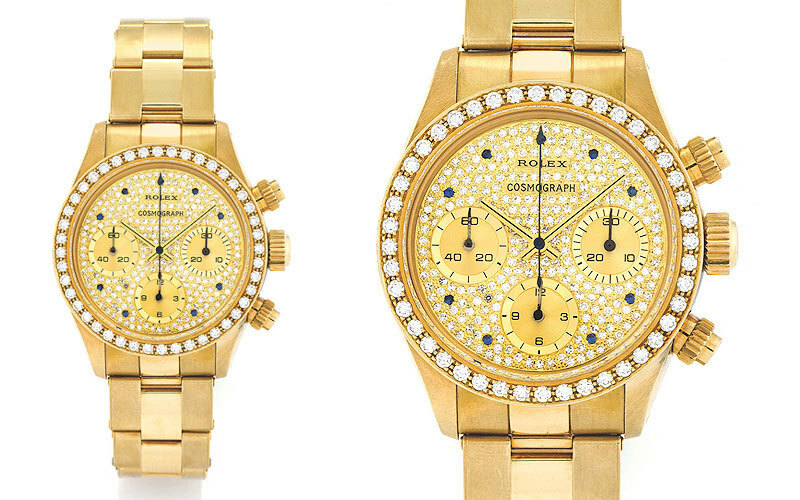 In the 1920s, Rolex set the bar for jewelry watches, that was later only trumped by one of their creations. The Exceptionally Beautiful Diamond pieces were hand wound and had a Silk Moiré strap. These rare pieces epitomize the sumptuous glamour and craftsmanship of the Deco Period. 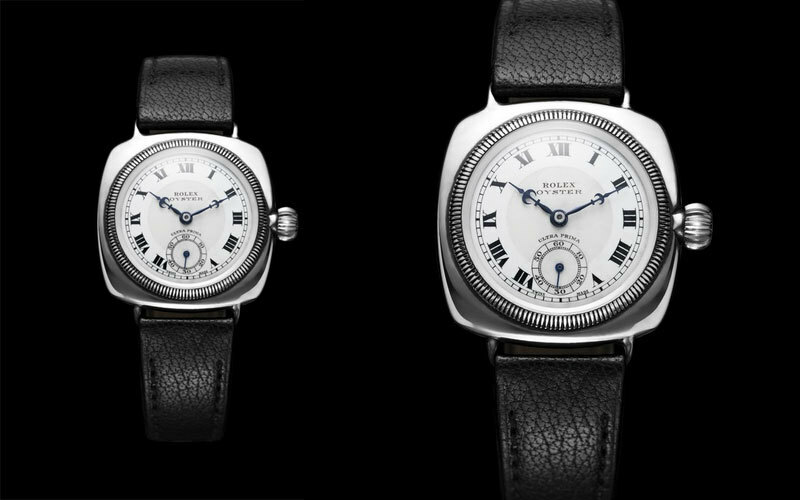 In 1992, the launch of the Pearlmaster, a new version of the Rolex Lady-Datejust, set the world of watch-collecting on fire. It is often described as Rolex’s ''crowning jewelry watch.'' Available in 18ct yellow, white or everose gold and finished with a circle of precious gemstones such as diamonds, sapphires or rubies, the Pearlmaster epitomizes the jewelry watch.